Zworykin developed some of the most important technologies for the electronic television camera and picture tube. While still a student in Russia, he began to study the cathode-ray tube. Zworykin emigrated to the USA in 1919, and began research on his “Iconoscope” (an early camera tube), which he patented in 1923. In 1929, he demonstrated his all-electronic television receiver using a “Kinescope” (picture tube). 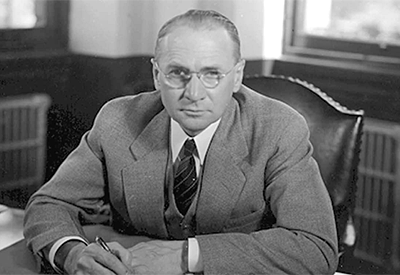 By this time, Zworykin was working for RCA, where he directed all the research that led up to the first real introduction of television to the general public, at the New York World’s Fair in 1939.